Decadent. Silky. Smooth. Satisfying. This quick easy chocolate mousse is your new best friend. I just can’t come up with words good enough to describe this. I just know you’ll want it for all occasions. A few weeks ago, I was invited to present at the Country Living Fair in Atlanta Georgia. My friend Stacey (from Little Figgy Food) and I collaborated and did a cooking demo “Easy Dinner Ideas for Stress Free Entertaining”. We talked about some of our favorite recipes, like bacon wrapped apricots (the hit of every party), Roast Beef Cheat (a must have! ), and these balsamic brussels sprouts. We decided for the dessert portion to blend one of her recipes and one of mine together to create a new one. And that’s what you get today! So the chocolate mousse recipe originated here. Today I’m sharing it with my pumpkin whipped cream. I think this will make a perfect AND EASY PEASY addition to your Thanksgiving meal. Or… just because. For the sweetener in the pumpkin whipped cream portion, you can substitute a stevia based sweetener if you’d like. I often use Truvia. I recommend fresh pumpkin puree, but you can used canned as well. A microplane zester works great for shaving some chocolate on top. Decadent. Silky. Smooth. 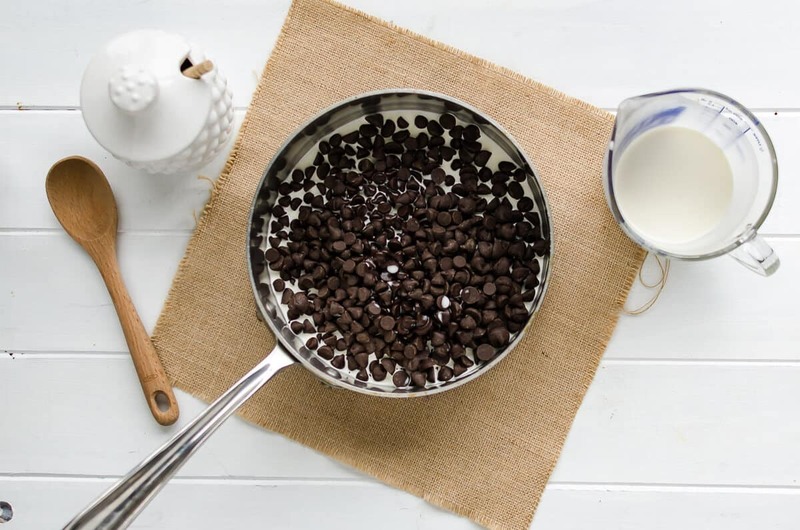 An easy recipe for a delicious dessert. 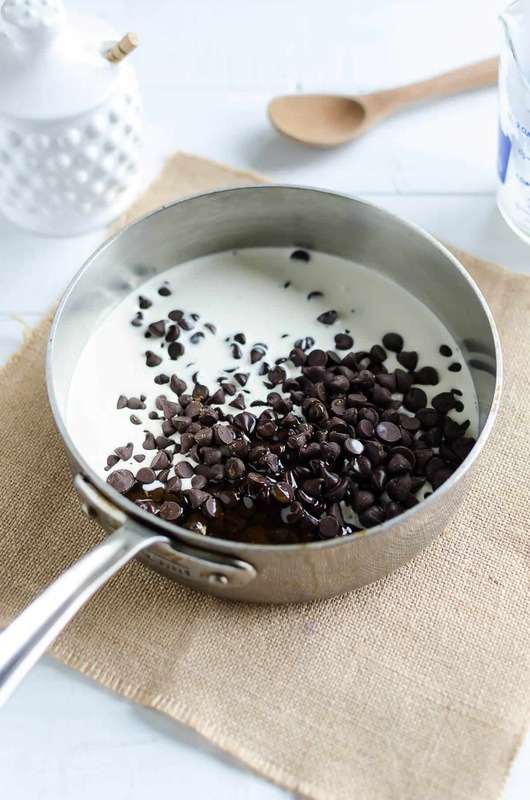 While the chocolate is cooling - in a large bowl, beat 1 1/4 cup of cream until soft peaks start to form. 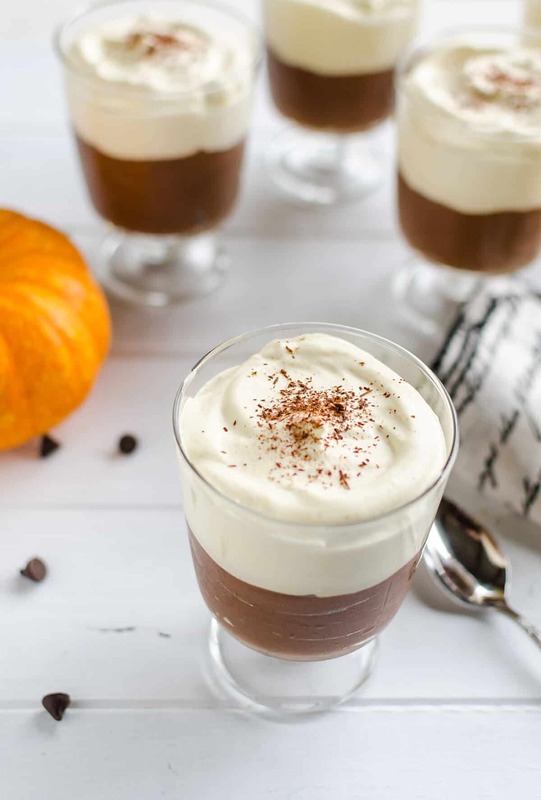 Once mousse is set and serving time is close, prepare the topping. Combine pumpkin puree, pumpkin pie spice and sugar, mix well. 10. 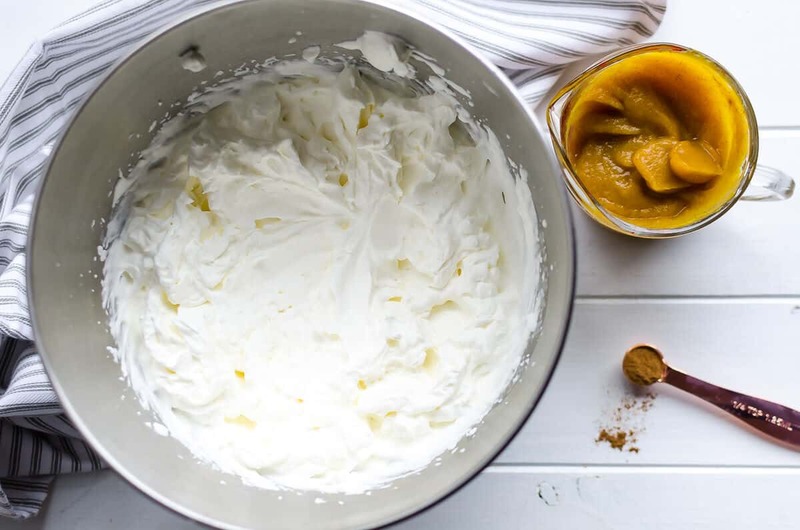 Fold pumpkin puree into whipped cream until mixed well. 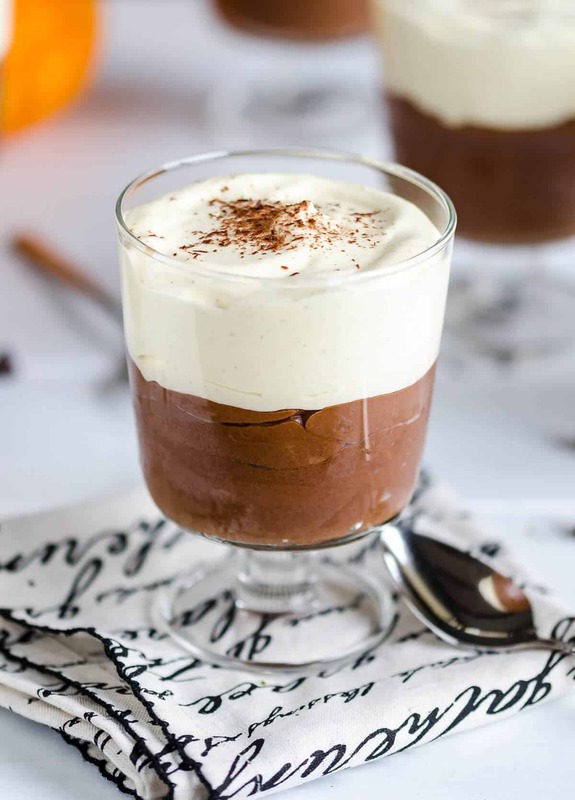 Top each dish of chocolate mousse with the whipped cream. Garnish with shaved chocolate if desired. Keep chilled until ready to serve. 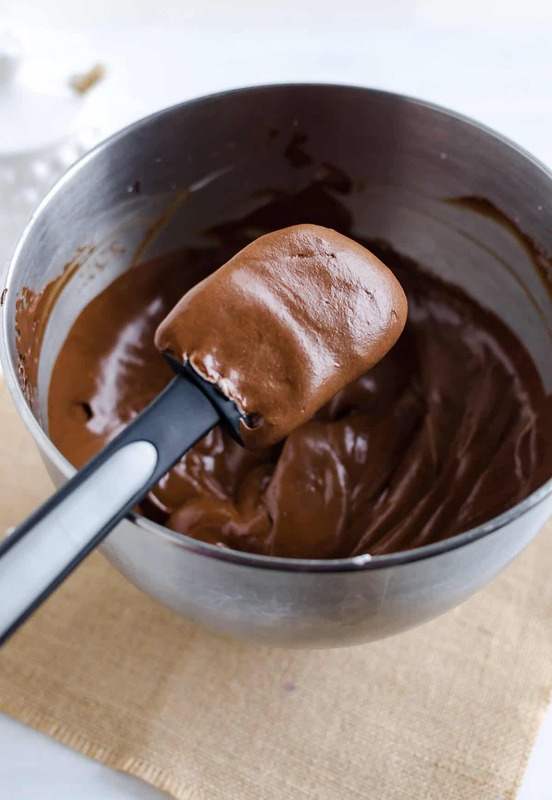 You can make the mousse 1-3 days ahead of time. 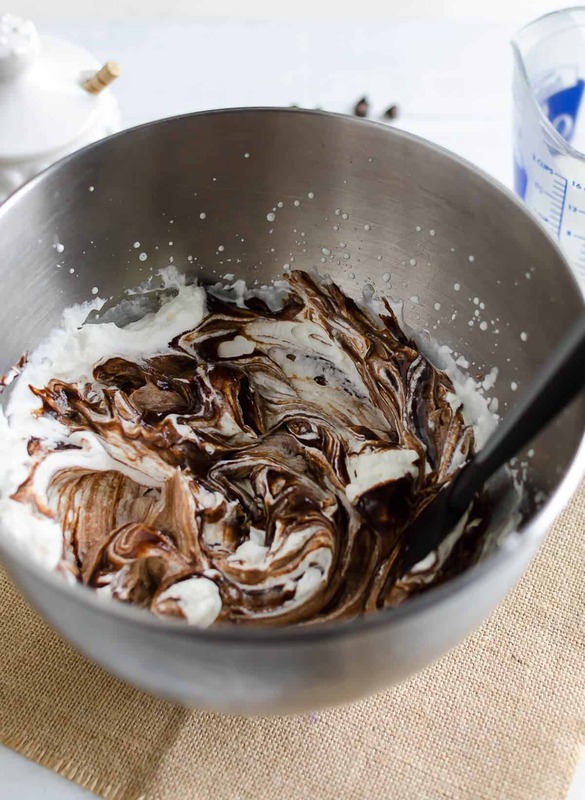 Prepare the whipped cream the same day.